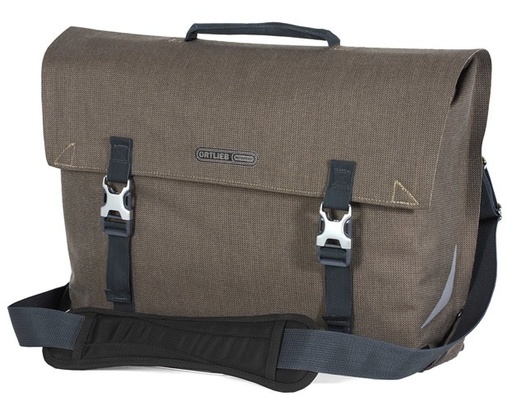 Handsome, rugged, and waterproof without screaming bike nerd. 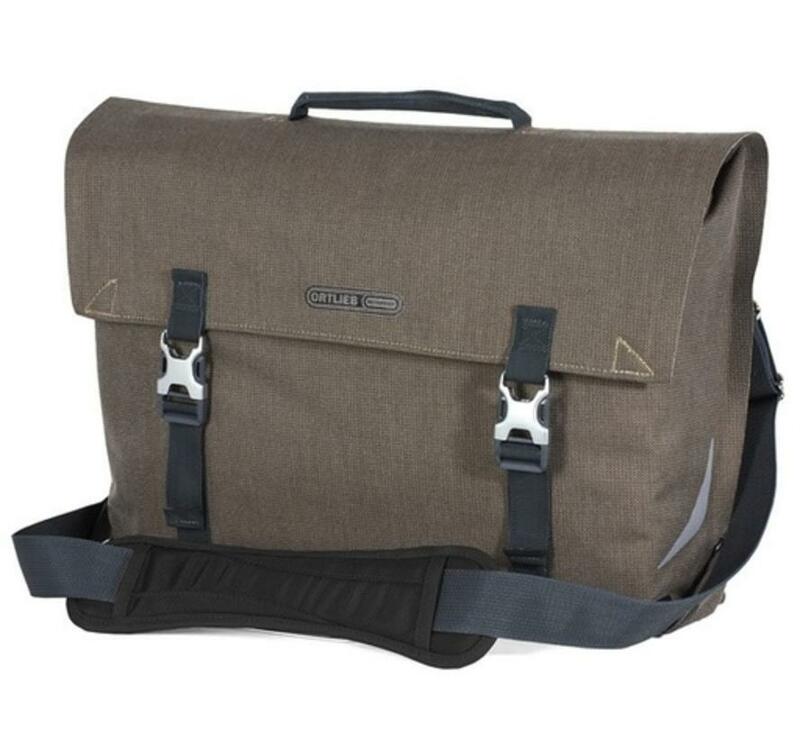 Bag includes padded shoulder strap, padded laptop compartment, and easy access outer pocket. Award-winning QL3 mounting system keeps the mounting hardware on your bike and off your bag. Ortlieb's QL3 mounting system leaves the hooks permanently on the bike so all you need to do is lift the handle to be on your way.